Innovation as the core of Savoir-Fare. To measure and mark the passage of time is a uniquely human endeavour. Since our earliest ancestors recognised the lengthening and shortening of shadows across the day, we have attempted to quantify the passage of one moment to the next. Vast stone circles, hoisted into place to frame the solstices and equinoxes of the year, gave way to rudimentary candle-clocks. Sundials of varied size, shape, and accuracy led to tolling pendulums, which in turn gave rise to mechanical timepieces, quartz watches, and the digital displays of today. Since 1735, the Swiss watch company Blancpain has upheld a dedication to the heights of excellence in timepieces creation and, as the oldest operating watch brand in the world, it continues to capture the imaginations of watch collectors everywhere. Across more than two centuries, Blancpain has demonstrated that innovation and tradition can sit hand-in-hand, and lead to results which defined—and then redefined—the watchmaking industry as a whole. Ever committed to their dedication to the handmade, the bespoke, and the exemplary, Blancpain has never produced a quartz or digital timepiece. Despite this, or maybe thanks to it, the House has remained a consistent vanguard in the world of watchmaking, and continues to set the standard for so many others to follow. The origins of Blancpain were humble in nature. The company founder, Jehan-Jacques Blancpain was a schoolteacher from a farming family in the Swiss municipality of Villeret, whose eclectic interests led him towards a fascination with watchmaking. In the early 18th century, he converted the upper floor of his farmhouse into a horology workshop, and began building mechanical watches while horses, cows, and other livestock bustled and brayed downstairs. The year 1735 saw Jehan-Jacques Blancpain register himself as a horloger on an official property registry in Villeret, and it is from this date that the brand’s activities are considered to have been founded. Assisted by his wife and son Isaac, Jehan-Jacques began producing timepieces for local buyers and travelling merchants, and an upward trajectory was set which would continue for several generations. It is something of a tragedy that so few examples of those first watches have survived the eras; the Blancpain family did not originally trademark their creations under their own brand name. 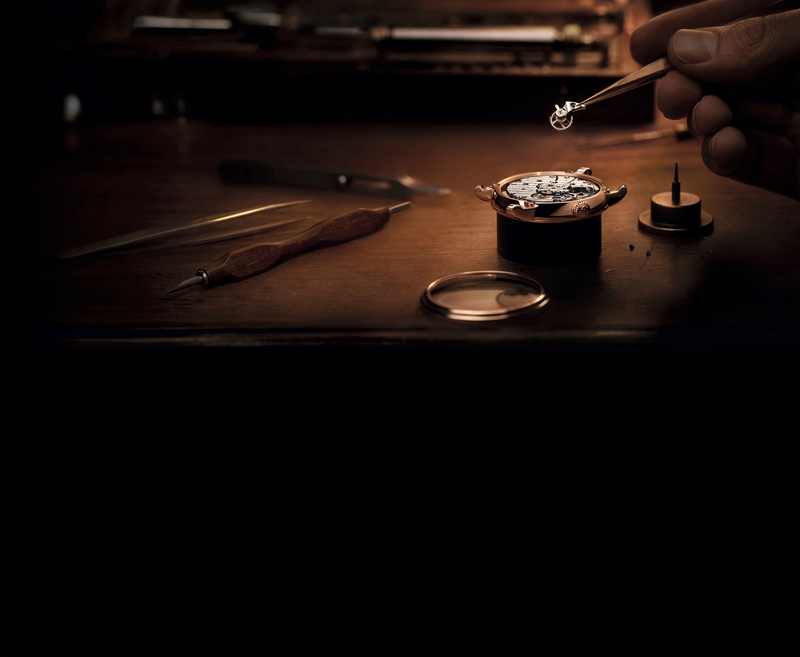 From those earliest days, tinkering with pocket watch components among straw bales and farmyard equipment, all the way through to the flawless reputation that the Manufacture upholds today, Blancpain has proven to be pioneer in the truest sense of the word, constantly combining the classic with the forward-looking. One only has to look at popular timepiece series such as the Villeret Collection, which demonstrates an anchoring in haute horlogerie tradition juxtaposed with a contemporary face and technicality, to see these principles in action. 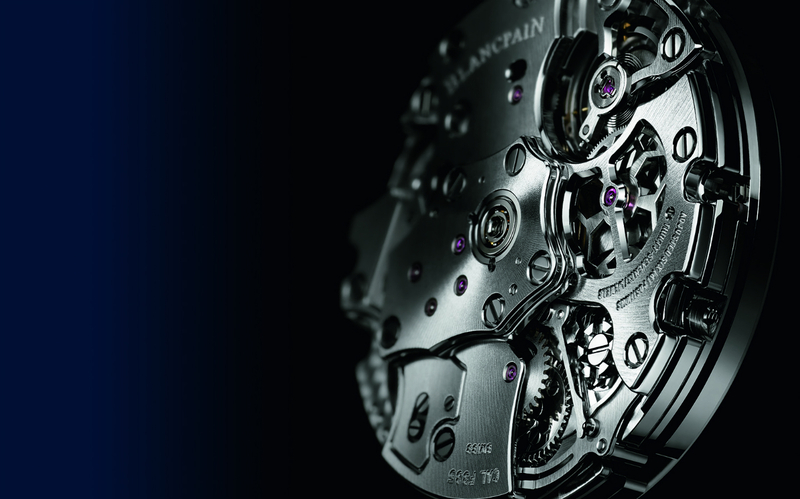 Blancpain was a company founded on the principles of passion, craftsmanship and long-term vision. As such, Jehan-Jacques Blancpain was able to lay a foundation, which led to some of the most significant horology innovations and inventions the industry has ever seen. In 1815, Blancpain was headed by Frédéric-Louis Blancpain, the great-grandson of Jehan-Jacques. Frédéric-Louis was a man of considerable foresight and ambition, and he transformed Blancpain from a small-scale craft workshop into modern, industrial timepiece producer, embracing new machinery, methods, and approaches. 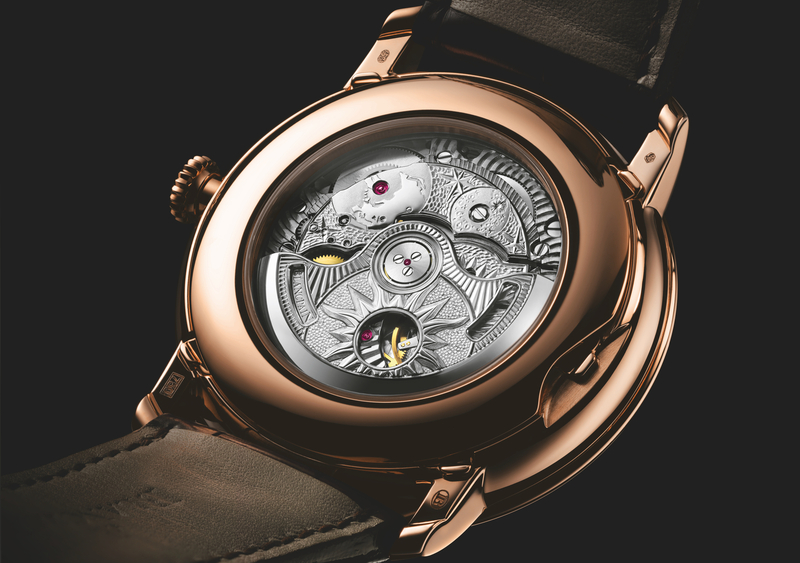 Frédéric-Louis’ spirit of innovation and adaptation is what led to the development of ultra-flat movements for Blancpain’s Lépine-style pocket watches. These movements allowed for the construction of slimmer, more elegant timepieces, and opened the door for higher levels of complexity and accuracy than ever before. The ultra-flat components created by Frédéric-Louis paved the way for a feature that is still central to many of the house’s watches today. Just like the 19th century, the one which followed led to a long and impressive list of ‘firsts’ for Blancpain. In 1926, Frédéric-Emile Blancpain, along with his trusted co-manager Betty Fiechter, joined forces with the British watchmaker, John Harwood. Together, they pioneered the creation of the first patented automatic wristwatch, whose design involved a thick winding rotor as well as a rotating bezel for setting the time, instead of the traditional crown that has been entirely removed from the watch. 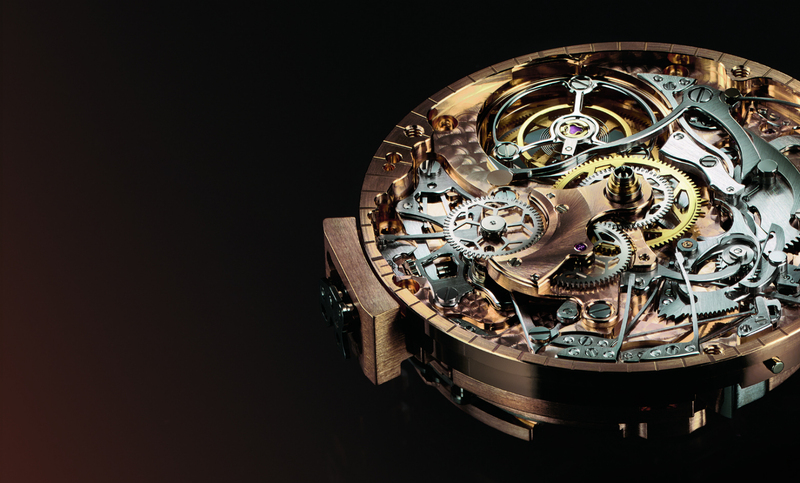 Their collaborative creation is a most beautiful item, and utterly remarkable for the fact that it so clearly set out the blueprint for every mechanical automatic wristwatch which followed. Following the unexpected death of Frédéric-Emile, the helm was taken by Betty Fiechter and Frédéric’s sales director, André Léal. The new owners were more than aware of the importance of the Blancpain family heritage, and expressed a deep commitment to maintaining the company’s ethos of perpetuating authentic and sophisticated watchmaking techniques combined with a constant quest for innovation, which are both driving forces of the Manufacture. By 1953, this commitment came to powerful fruition with the launch of the Fifty Fathoms, the world’s first modern diving watch, followed in 1956 by the world’s smallest round watch, Blancpain’s Ladybird model, to name just two key achievements. Later decades saw no slowing in the House of Blancpain as far as innovation was concerned, and no shortage of other record-breaking and industry-defining moments. The Blancpain philosophy for paying tribute to the past while celebrating the future of their craft can be seen in a renowned high point of the company’s recent history. The revival of the one-minute flying carrousel came about in 2008, and immediately sent ripples of wonder through the industry and the hearts of collectors alike. Abandoned by even the most ambitious of watchmakers over a century ago as a result of its unrivalled complexity, Blancpain’s master horologists brought back this rare and unique complication, designed to counteract the effect of the natural gravitation of the earth. Blancpain, perhaps more so than any other fine watchmaker, is known for balancing the most exquisite and beautiful designs with the most complex and visionary innovations. Few timepieces in their extensive history exemplify this quite as splendidly as the Fifty Fathoms diving watch; a timepiece which pushed further the limits of the exploration of new realms in the underwater world, and which was championed and worn by those—professional divers, scientific explorers, underwater photographers, as well as several military combat swimmers corps around the world—who shared the brand’s passion for the exploration and protection of the oceans. The Fifty Fathoms timepiece sprung from the depths of the imagination of Jean-Jacques Fiechter, Head of Blancpain from 1950 to 1980. He was a man of twin passions; of fine watchmaking, and of uncovering the hidden wonders of the sea. From the very beginning, the Fifty Fathoms model was designed with professional usage in mind: an unidirectional rotating bezel with clear time markings, a dark dial with contrasting white luminescent indexes and hands for a better legibility, a double sealed crown system and special sealing system for the caseback to enhance water resistance, an automatic winding movement as well as an antimagnetic protection for the movement. Result of a collaboration with the two founders of the French Navy’s combat swimmers corps—Captain Robert “Bob” Maloubier and Lieutenant Claude Riffaud—the Fifty Fathoms model was adopted by the French and US navies, and thanks to ongoing collaborations with world-class divers, later models were made to withstand depths of up to a thousand meters. Another significant jewel in the house’s crown came about some forty years after the launch of the original Fifty Fathoms. Demonstrating that honouring the past by no means dilutes a passion for innovation, the year 1991 saw Blancpain release the most complex automatic wristwatch ever made at this time: the “1735” Grande Complication. The list of elaborate and deeply impressive features on this timepiece is a lengthy one, and it includes a one-minute tourbillon regulator, perpetual calendars with a stunning moon phase indication, a chiming minute repeater, a flyback chronograph, and much more besides. Its accuracy, scope of vision, and the sheer attention to detail demonstrates an almost miraculous realization of design and technical skill, especially when one considers that these timepieces are made entirely by hand, by a single craftsman over the course of a year. Robert Burns wrote in Tam o’Shanter that “No man can tether time or tide”. True as this may be, Blancpain and their innovative watches have shown that with artistry, craftsmanship, and a dedication to precision, it is possible to inch ever closer to what at first appears to be an unreachable goal. Tradition and innovation, far from being opposites, in fact ebb and flow as the tides beneath the moon, coming together to give rise to exemplary and pioneering creations, like luminescent pearls from the depths below. The beauty, prestige, and quality of Blancpain’s timepieces have seen the company survive the centuries. It is by placing innovation and savoir-faire at the core of their craftsmanship, and by preserving tradition while envisioning bold futures, however, that makes their watches truly timeless.